What Are the Advantages of Silicon Rubber Keypads? | Northpoint Technologies Inc.
What Are the Advantages of Silicon Rubber Keypads? 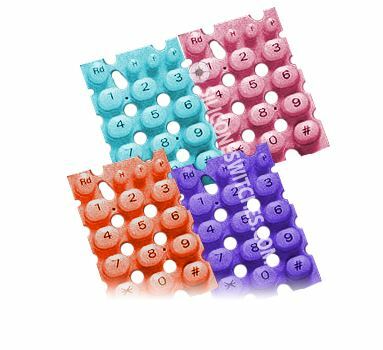 If you need keypads for an electronic product that you’re creating, you should consider using silicone rubber keyboards. There are many benefits to incorporating silicone rubber keypads into your design plans. Let’s take a look at several of the advantages that come along with silicone rubber keypads below. Silicone rubber keypads are comfortable to use. If workers or customers are constantly punching away at the keypad, they’re going to experience some discomfort if it’s made out of plastic. Silicone rubber keypads, on the other hand, will prove to be very comfortable since all of the keys will be as soft and as smooth as they can be. People will actually enjoy using their keypads when they’re made using silicone rubber. They’re both waterproof and dustproof. Water and dust are two of the biggest enemies of all electronic products. When you create silicone rubber keypads for your electronics, those who use them won’t have to worry about water and dust at all. Silicone rubber keypads are waterproof and dustproof and will prevent moisture or dust from making their way into an electronic. This will really come in handy for those companies creating electronics that are going to be used by commercial clients. While silicone rubber keypads come jam-packed with benefits, you won’t have to pay a fortune to get your hands on them. In general, these types of keypads are a lot less costly than other types of keypads. You’re going to have to make an investment into any keypads you purchase, but you won’t have to make a huge one when you choose silicone rubber keypads. Silicone rubber keypads come in all different colors and styles. Northpoint Technologies can provide you with custom silicone rubber keypads in just about any bright color. Call us at 915-591-6300 to place an order. ← What Does an ISO Certification Mean?